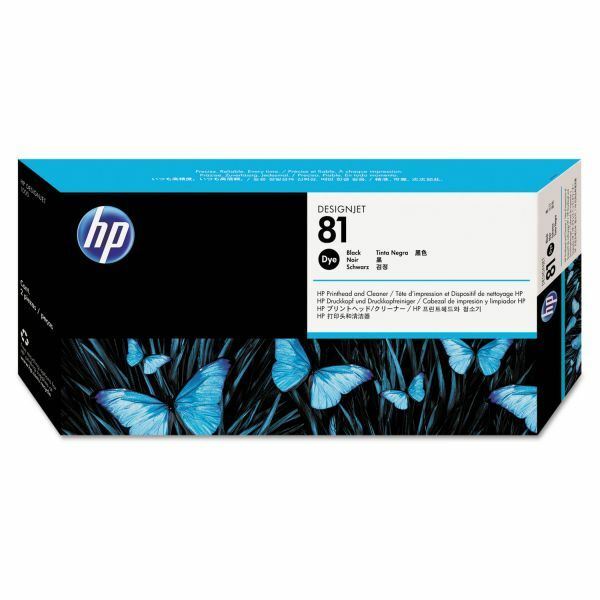 HP 81, (C4950A) Black Printhead and Cleaner - Six ink colors and HP Jetexpress technology result in fast, unattended printing without compromising image quality. The 1 wide printheads with 512 nozzles per printhead lay down a wider ink swath compared with 240 nozzles in the HP Designjet CP series ink systems. Maximum quality print modes up to 1200 dpi help bring high-resolution images to production printing. Cartridge is designed for HP Designjet 5000, 5000PS, 5500 and 5500PS Dye Printheads and Printhead Cleaner, Indoor. 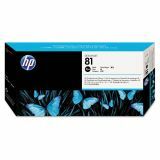 HP-engineered to work as a modular ink system with HP 81 dye ink cartridges. Enjoy unrivaled print speeds, thanks to HP Jetexpress technology. Built-in smart chips monitor printhead operation and alert you when it's time to replace. Cartridge yields approximately 1,000 pages.